Okay. Today we'll be reviewing Underling. Hold on tight and lets dig in! There's not much to really say here, so this will be a very short review. It's a decent site compared to most. Certainly usable. Not much to look at though. It suffers from mediocrity. Lets see what we can do about this. About average here. 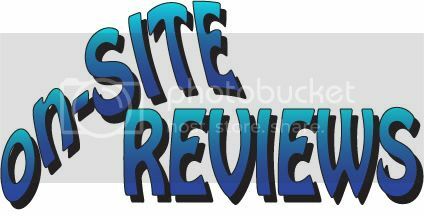 The site is fairly compact, so it scores well. Not much to say on this. This is really one of your biggest issues. The shades of red on black do little to control the eye. While the shades aren't overly bright or painful, they are everywhere. The site is usable, but nothing really grabs the eye. It takes a bit of visual searching to register the important areas. This colour scheme needs to be drastically broadened. You might try looking here (http://www.colorcombos.com/black-color-schemes.html) for inspiration. There's not much to say here either. Once again, the banner works in theory, but the dull colour scheme really kills it. It also doesn't really tell us much, or set a mood. It's a good concept that just fails in execution. The site navigates well, and the layout works. It's a simple standard design, executed well. Well, You link your twitter which is good. And It's very visible. Unfortunately, there's no link to any other social tools. Once again, these can make a huge difference for any comic. Use them! The secondary content is nicely done. It's the standard affair once again, but it's executed very well. Over all this isn't a terrible site. It certainly shows potential, and effort. It really suffers from it's colour scheme for the most part. It's just too much red and black. It's boring to look at. If that where fixed, it would pull your score up a great deal. Beyond that, the website does nothing WRONG, but at the same time, it doesn't really stand out in any way. It's design and execution are firmly in the realm of mediocrity. That's not a bad thing per say. As I said, I see the effort, and potential. But it still needs to be coaxed out a little more. NEXT WEEK: We review Estrangel! To Infinity and BEYOND! I was really impressed by the banner. And the color scheme is what sets the mood. I think it deserves more than 1/5. For social tools, what do you recommend to those of us without Twitter, Facebook, or DeviantArt accounts, and with no intention or real reason for getting them? Is it impossible to get a good score in that category? You don't need an account youself with these site, mind you. The reader needs one. Well, still, it's all helpful. I kind of designed the site over a couple of days since I started the comic up on a whim, so it sort of just bare bones. I've been meaning to improve it as I go along, and this is certainly going to help! Um, 'sides facebook, which I'm going to get around to some day I swear, and sociable, thanks Jeffa, what social tools should I use? Also, where do you think I might benefit from some color the most? Would spicing up the logo and link text be enough, or should I change the background or something? What could I do to bring the navigation up to a 5? Also what extra content would you recommend? I haven't been giving the site too much thought, to be honest. Web design is *not* my strength. Seriously, you don't want to limit the ways other people can promote you. I think I limited mine to 10 or 11, just because I don't want to overwhelm anyone. Also, I kind of like your color scheme. I like the tie in between the red and your main character's eyes. To reduce the stinging sensation you feel, let me say that I really like your comic! Your art is outstanding and the story so far is interesting. I like the use of Rakshasa. Back in the dim, dark past before computers were common I played a LOT of AD&D. Never managed to play a game with Rakshasa, but I always thought they could be the basis for a good game or story with an Indian flavor. So far you're doing a great job with it. Oh, as far as a promoting widget I already have one. It's the "Like it! Share it!" button in my sidebar. I prefer it because it's a good asthetic fit for my site, which I kind of gave priority, since I've never used one of those widgets and I doubt many others actually do either, especially with a readership as small as mine. I just wanted to know that if you do have this widget, but don't use the social networking sites yourself, is it still possible to score well? Nuke, never in a million years would I have guessed you made your site with comicpress. I'd say you're one heck of a web designer, to be able to customize it so well. I anticipate getting lousy banner and above-the-fold scores because of the setup I have. Basically I have a bare header with my comic's title in header text and the update days below it. Then for each page I put my custom logo for the comic at the top. But I want to make some preemptive defensive arguments. I started out my comic including the logo at the tops of the pages because I was completely clueless. Then when I went to design my site, I wasn't sure what to put at the top since I didn't want to just repeat my logo, so I put the title in regular header text with the update days below it. However I think this was actually a good thing because having my comic's title in header text got it to be picked up by search engines and the typical description was my update schedule, which I thought worked nicely. If I replace the header with some sort of image, then it would screw that up. Also, I know most of the header is bare but I was actually planning on putting adspace up there. I haven't yet because I can barely justify the single skyscraper adspace I have already. And basically I have too many comics by now to edit out the logos at the top, and like before I don't want to have the logo shown twice anyway, so I wouldn't have any sort of image to use if I DON'T take them out. The conclusion I've come to is that it's best to leave it as is. If anyone has any suggestions, I'd be glad to hear them, and then maybe I'd be more prepared for the review. Uh, sorry I sort of bogarted your review, Nuke. Sociables got you covered mate. Buh. Uhm. Well, without diving in to colour theory a great deal, you should probably look at a few different colour schemes. Trevor knows of a great site called kuler, and may have some good advice on picking a theme. The thing to keep in mind is that red is a poor choice for a primary colour because it catches the eye. Experiment with using it as an accent or secondary colour. You might use a colour such as purple, or blue, as a primary instead. Both fit well with your comics pallet as well. Honestly? Nothing I can think of. Five stars is reserved for perfectly executed websites. It's more an art then a science at that point, as each website will require different things to push it over the top. Three stars is about average, which is not a bad thing. However, if you'd like to improve, you might add navigation arrows to the top of your comic as well, and remove the tiny arrows from the nav bar. They are hard to see, and take up space. Beyond that, It's really just a matter of preference, and experimentation. Stay open to new ideas. I just wanted to know that if you do have this widget, but don't use the social networking sites yourself, is it still possible to score well? Yes, it is. Social networking is reviewed based on both your use of social networks in your marketing (How much you put yourself out there), AND how easy you make it for your readers to advertise for you. A twitter feed, or facebook account can help your score if used well, but they are not required to score well. Many sites just use Sociable, and that's more then enough to get 2 or 3 stars. I'm looking at your site, and while many people can't see what is terrible about the color scheme, I know the one thing you're forgetting. CONTRAST! Black and Red work very well together, but your page column is being lost within the divided sections of the website (comic, sidebars, blog). With the red bars at the top and bottom, you confuse the eye too much with too many shades of red. When I look at the comic, your buttons, and your PW Skyscraper, everything looks so colorful and vibrant. You come back to black and only one color. It's best to pick 3 colors. http://www.daniellecorsetto.com/gws.html Girls With Slingshots has Green, Orange, and White. http://www.pvponline.com/ and http://www.leasticoulddo.com/ both use subtle textures, which gives the solid colors a place to sit. PVP is Olive, Chocolate, and Orange. LICD is more complex, but you can still see them breaking the colors up. http://www.evil-comic.com/ uses Black and Red, like your site, but the comic and blog are encased in white, leading the eye to that part of the site. http://www.xkcd.com looks like it has two, but upon further inspection, you can see that he breaks it up with a black border. With your blog, I love how it comes out of the background. This is an interesting integration of the parts of the website, however those red bars come back to haunt you again, as they make the page look unfinished. I'd make those bars black and put them on three sides instead of two, giving your comic and blog padding, which is very important. That's all I can really see right now. Hope this helps!